Don’t you just love recipes that require minimal prep time, made from scratch and are delicious? This is one of those recipes. The only bad part about this dish is that I wish I would have prepared a double batch. After blending a few fresh ingredients to prepare what could be used as a marinade or a sauce, just a few hours for marinating time and dinner is done in a few minutes. If you are not a fan of cilantro, try using some different fresh herbs, such as parsley, oregano or basil. 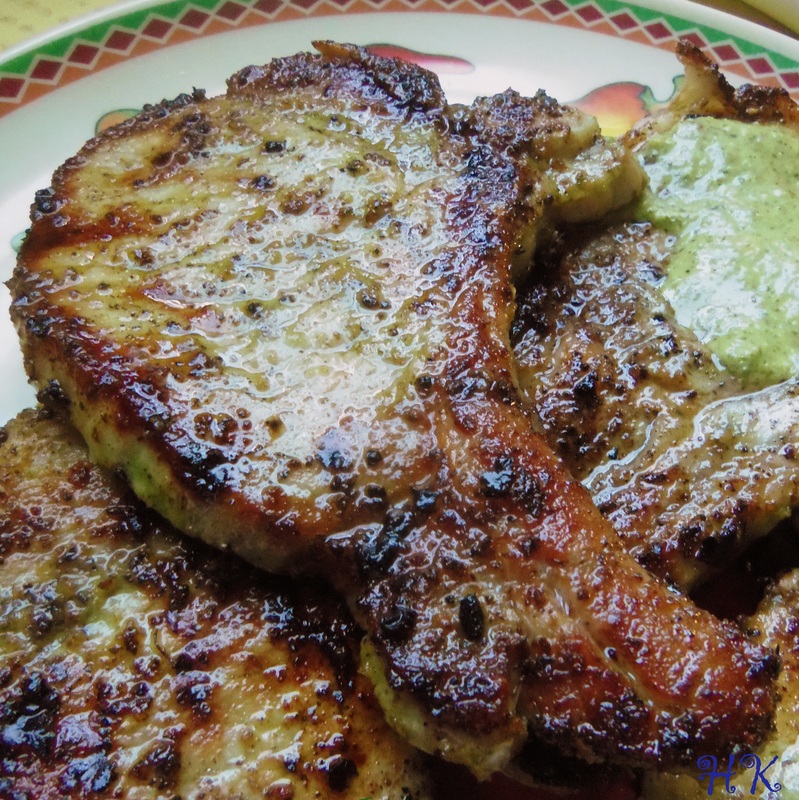 You are going to want to prepare extra pork chops because the next day after they had a chance to chill, they were even more flavorful! 2-3 serranos, sliced. Add one pepper first, then taste before adding any more. In my experience, I have found that the bone in pork chops are more flavorful. Not only for pork, but this marinade would be delicious for chicken breast, wings, shrimp and fish. 1. Season the pork lightly with salt and pepper on both sides. Place in a dish or in a heavy plastic storage bag. 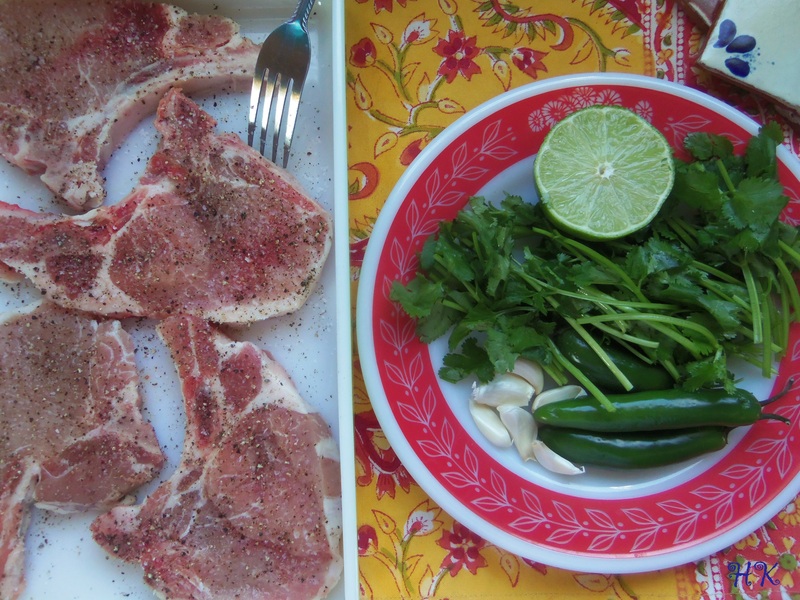 Pour half of the cilantro-serrano sauce over the pork chops and coat evenly. Seal or cover and marinate in refrigerator for 2 to 4 hours. 2. When ready, remove chops from refrigerator 30 to 40 minutes before cooking. Preheat stove top grill pan to medium/high heat for 5 minutes.When hot, drizzle pan with oil and place pork chops on hot pan. Cook for 4 minutes per side. If thicker, than 1/2 an inch you may have to cook for another 2 minutes per side. The ideal internal temperature for a moist pork chop is 145ºF. At least that has been my experience. Remove from heat onto plate. Cover loosely and let sit for 5 minutes. Serve with extra sauce. 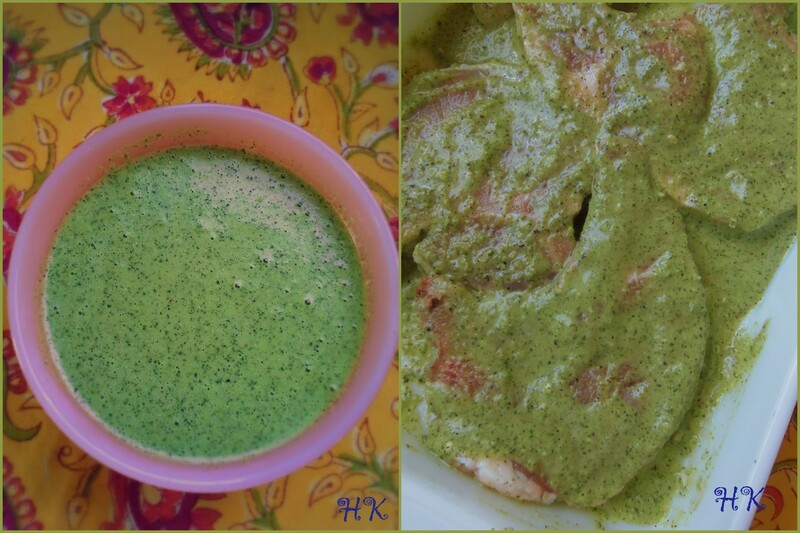 This marinade can also be used as is for a sauce or dip for fresh vegetables.